The Swiss dairy landscape is very special and outstanding in terms of milk quality and excellent milk products. This made that this years’ IFCN Supporter Conference had the special topic ‘What makes a dairy region successful?’. 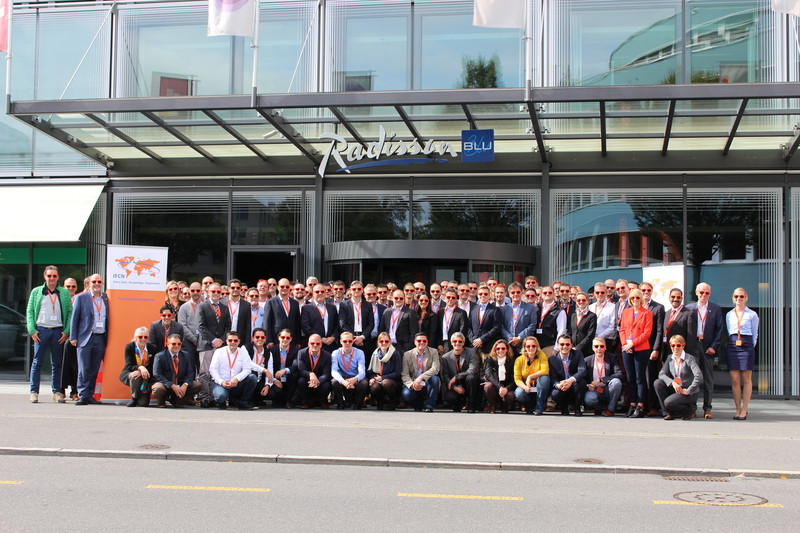 Over 110 participants from 80 dairy related companies were excited to learn and discuss more about this topic and came therefor to Lucerne, Switzerland. But they also attended the 3 days’ conference to get the newest insides about the dairy market and the outlook for the coming months and years. A clear key message was that the key driver for dairy price cycles is the delay of national milk supply reaction on world market price trends. Overalls it takes 3 – 12 months from a price signal on the world market to a change in milk supply growth. Since 2006, five world milk price cycles could be identified and IFCN expects a new cycle beginning early 2018. This new cycle is estimated to start with a downward trend first, unless a strong increase in milk demand occurs. A farm visit on a typical Swiss farm with Swiss Brown cows and fresh grass feeding and a visit to a cheese ripening cave for premium Emmentaler and Raclette cheese showed the entire dairy chain from the initial milk production up to the final product. Emmi, Nestlé and Hochdorf sponsored this event.